Twenty years ago, many of us couldn’t possibly have imagined how interconnected our world would become. With the advent of widespread home computing, high speed internet and smart phones, almost every aspect of American life has been changed in some way. From the way we communicate with each other, to the way we travel, and yes even, even the way we shop. Worldwide, one of the biggest growing trends online is the explosion of online supermarkets. Now that we have all become comfortable shopping for items like clothes, shoes and even cars online, it seems only natural that we can now get our groceries there too. Over $1.46 billion was spent on “Cyber Monday” in 2012, and many retailers have taken notice of the potential to draw consumers in for their food purchases on a monthly, or even weekly basis. 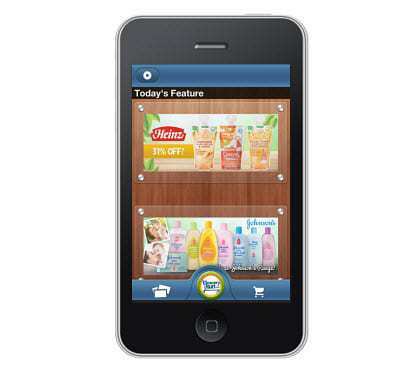 There’s lot of online grocery shopping apps that can be downloaded for moms to shop with peace of mind. There are many advantages to this new fad. Mainly the idea that instead of having to spend gas and time to get to the grocery store, you can have the majority of your shopping list delivered to your door. Instead of having to run to the store for baby diapers or household products, you can set up a purchase & delivery schedule, and have a new batch delivered right as you are running low. Online shopping allows mom to take care their baby without interrupt the shopping spree! The advantages don’t just stop at the consumer. Retailers are more than happy to accommodate this trend. Not only does it lower the costs involved in running a store (cashiers, electricity, etc) but it also allows them to have a stronger and more direct connection with their customers. Instead of getting a deals flyer in your newspaper, which you might just throw away, they can send out and email or have an ad on their website for almost nothing, forgoing the cost of printing. Online shopping site often send out discount coupon via email for shoppers to enjoy great saving. While buying your groceries from an online supermarket is an experience that might take a little getting used to, the rampant growth of the market (pun intended) is no fluke. The time saved, potential savings, and convenience ensures that this is a trend that won’t be going away anytime soon. How to Save Money With Bulk Purchases on Online Grocery Items?